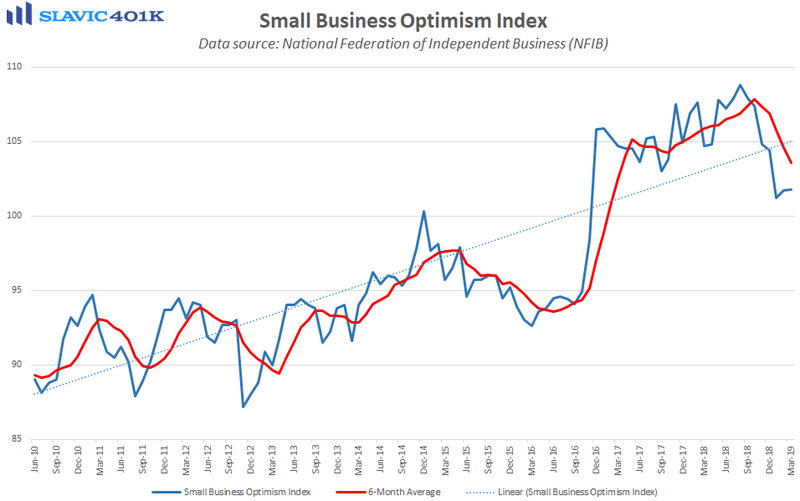 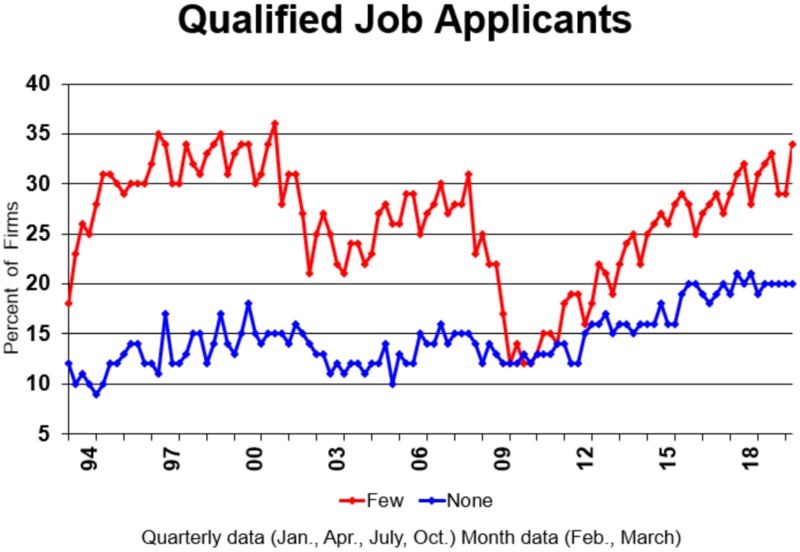 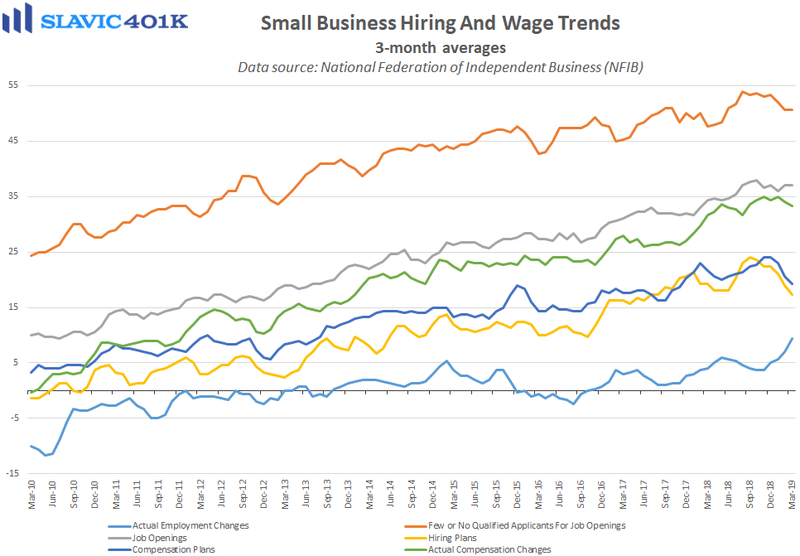 Small business owner confidence improved slightly last month, according to a new report from the National Federation of Independent Business (NFIB). 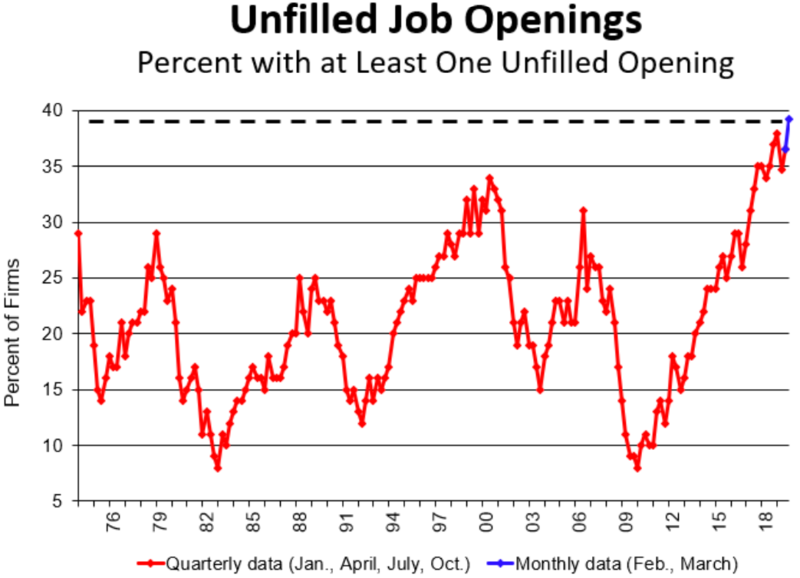 Specifically, the headline optimism index ended March at 101.8, a fractional increase from February but still the second gain in a row following the largest monthly decline since 2015. 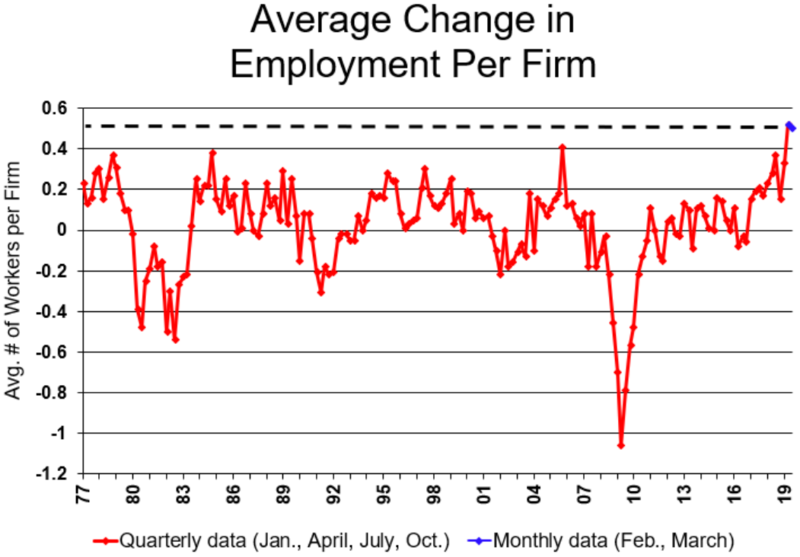 Although the sentiment gauge is well below the all-time high hit last summer it remains at a historically healthy reading that is consistent with continued growth. 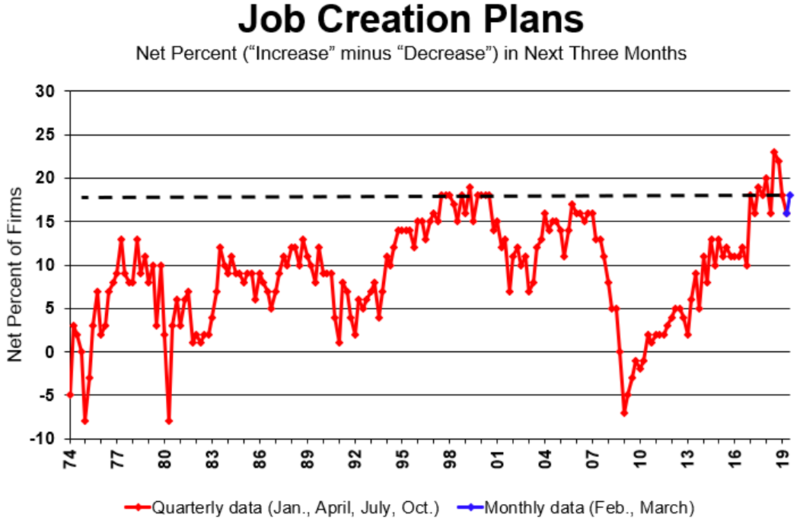 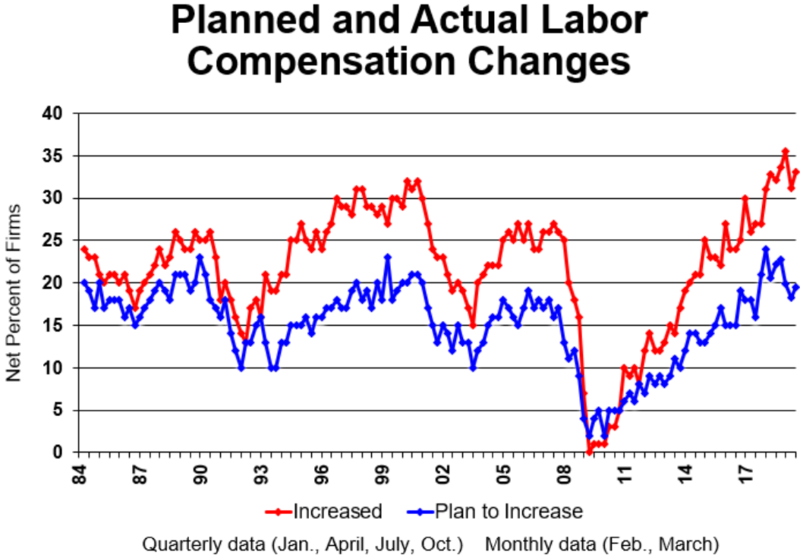 Further, reported capital spending plans held steady in March and the outlook for expansion and real sales strengthened. 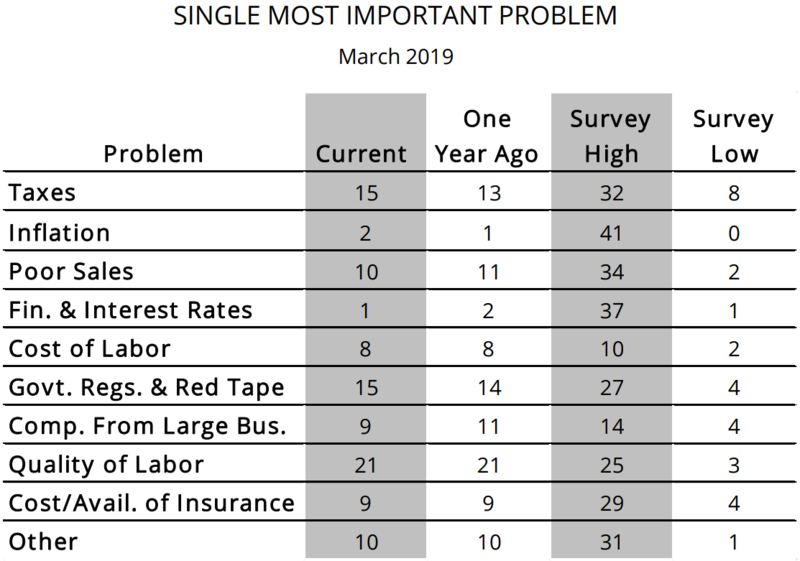 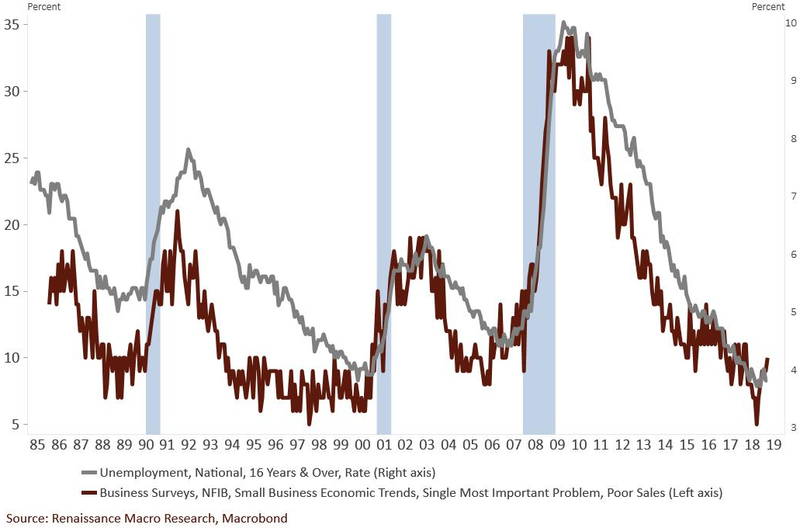 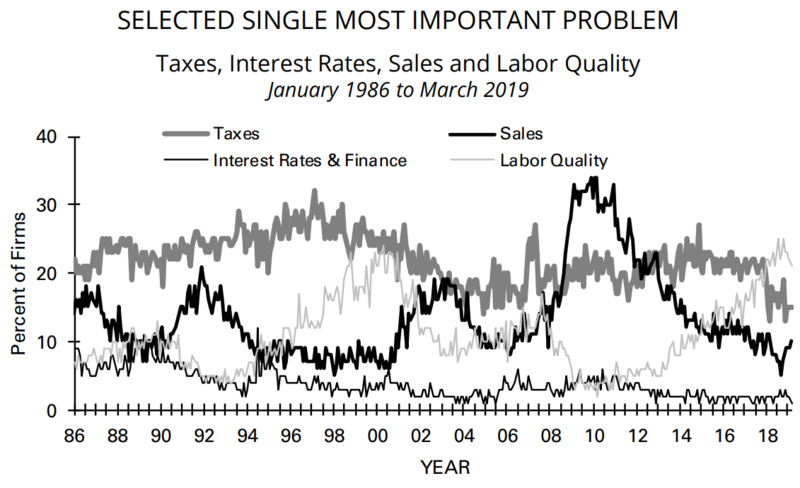 The percentage of owners citing “poor sales” as their most important problem, though, rose to the highest level in a year (and double the cycle low).